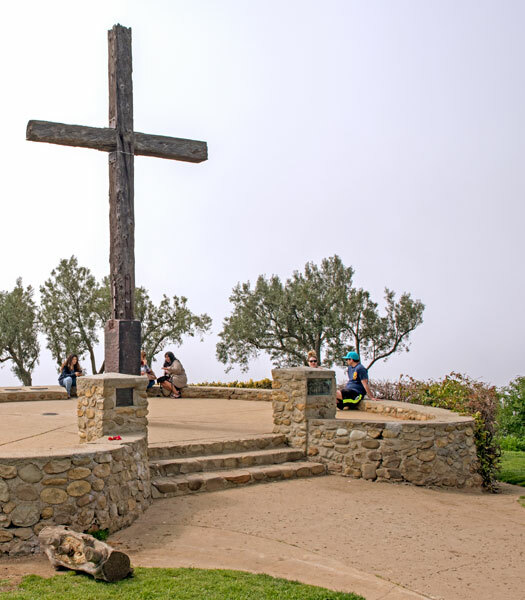 The first cross on the hill known as 'La Loma de la Cruz,' or the Hill of the Cross, was erected by Junípero Serra at the founding of the Mission San Buenaventura on March 31, 1782. This was the ninth and last mission founded by Father Serra in California. We were unable to locate a California historical marker for the site of Junípero Serra's Cross.